PERFECT COMPANION FOR TRIPS:This compact backpack is the perfect companion when you are out and about. It will be a fantastic necessity for not matter outdoor sports or leisure activities in or out of the city. 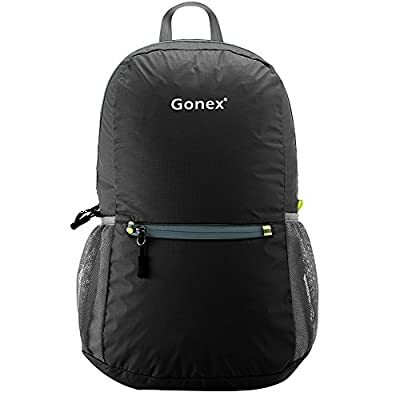 Perfect for day trips, vacation, travel, day hikes, school, camping and shopping. INCOMPARABLE QUALITY:Made from High Quality Water and Tear Resistant Nylon Material, durable Abrasion Resistant SBS Metal Zipper available. Reinforced more than 25 places with Bartack Process. MORE STORAGE SPACE& KEEP THINGS ORGANIZED:Three zippered compartments. 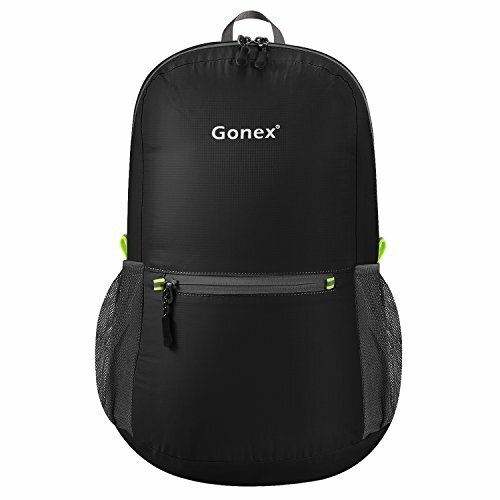 Main pocket is Large enough to carry what you need in the trip. Outer smaller pocket is great for quick access such as guide books and camera. Inner zippered pocket is a perfect place for valuables such as cash, credit cards and passport. CONVENIENT AND LIGHTWEIGHT:It fits into an ultra-compact pouch. Easy to folds up into small pocket (Sandwich size). So you can easily pack it in your suitcase for use at their destination as an extra bag for the trip. AIRPORT HERO: avoid overweight charges, simply unfold from your luggage and use it as a carry on for your excess baggage.